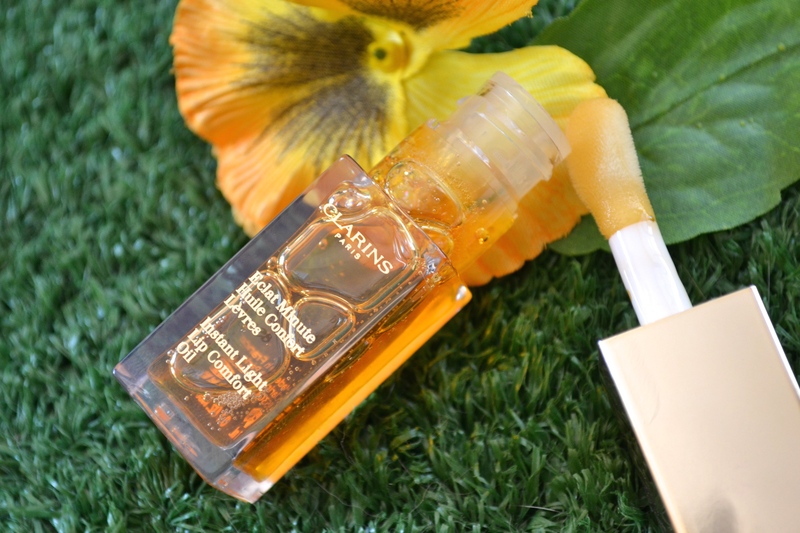 So can you believe it, but this was my first encounter with a Clarins make-up product? I have always oohed and aaahed over their collections, but have never gotten a chance to try them out before, until now. 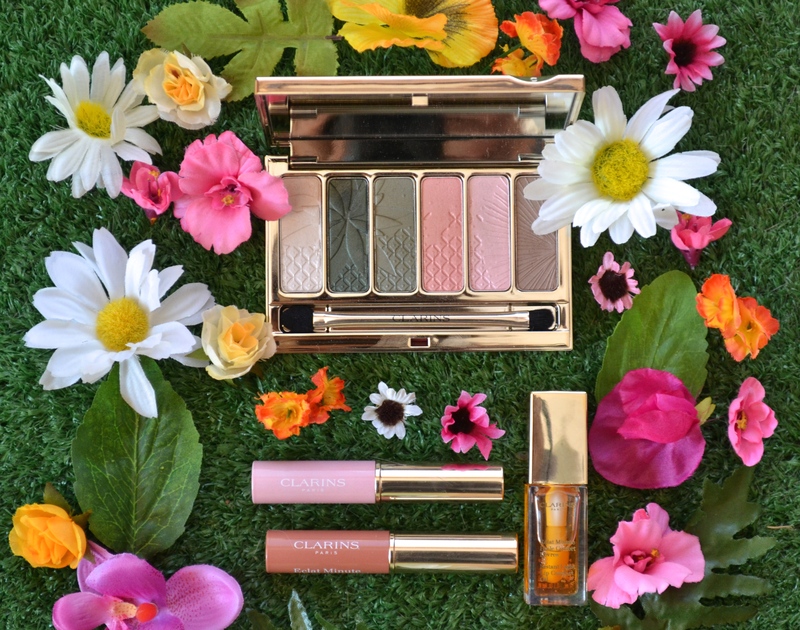 This gorgeous Garden Escape collection just launched on counters, and I received a few goodies from Clarins to try it out. Whats on the menu for this post is the 6-Colour Eyeshadow Palette, the two Instant Light Lip Balm Perfectors and the Instant Light Lip Comfort Oil. The collection also includes the Blush Prodigy, the Instant Light Brush-On Perfector, a Crayon Kohl, the Wonder Perfect Mascara and two Joli Rouge lipsticks. Check it al out on counter, and let’s get into my reviews. The Piece De Resistance of this collection is of course the gorgeous 6-piece eyehsadow. It is a harmony of long-lasting and smoothing satin and pearly eyeshadows, that contain a mineral and plant texture for a healthy and fresh look. 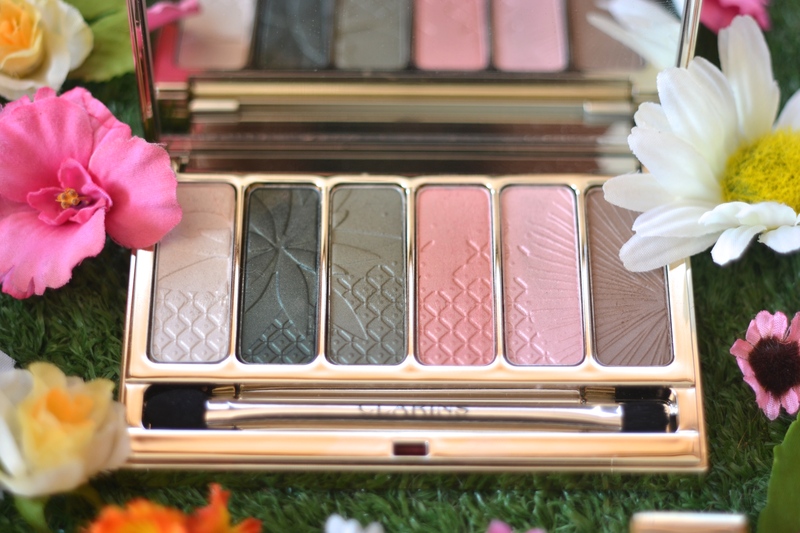 The colors range from shimmery white to mossy green to light cocoa, and another first for me was that I have never tried green eyeshadow before! 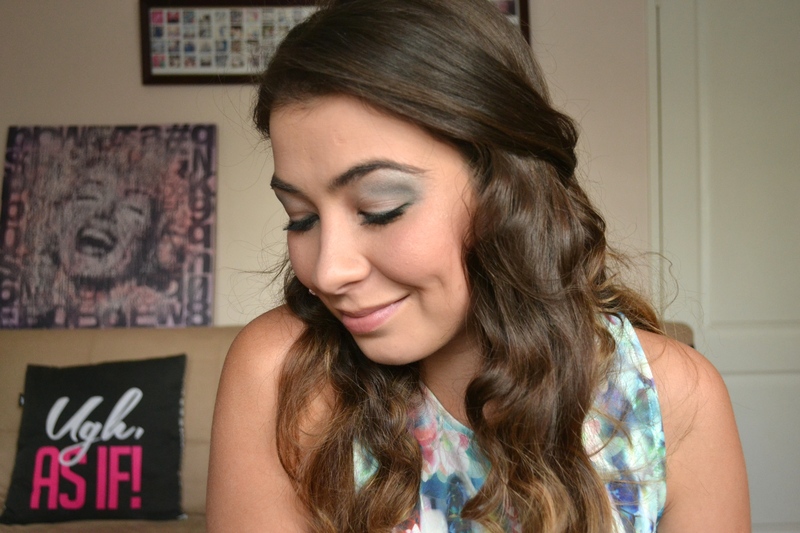 I have always stuck to my neutral brown smokey eye, or black for a night out,but green has been a no-go zone for me. So I really took myself out of the comfort zone playing around with these shades, and I loved it. I created this easy look in just under 10 minutes, playing around with the shadows(let me know if you would like me to tim a tutorial for this look, it’s about time I start getting into videos!). 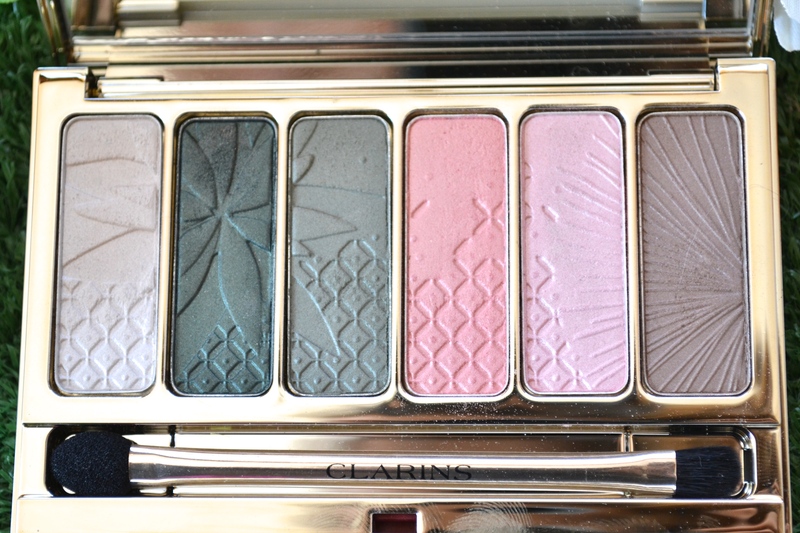 The shades are all super buttery and creamy, and I had to force my self to dig into them and ruin the pretty design(luckily I always photograph the products before I start using them). The white shade is perfect to cover the whole eye, the pink and the brown to add into the centre of the eye, and I used the dark green for the accents. 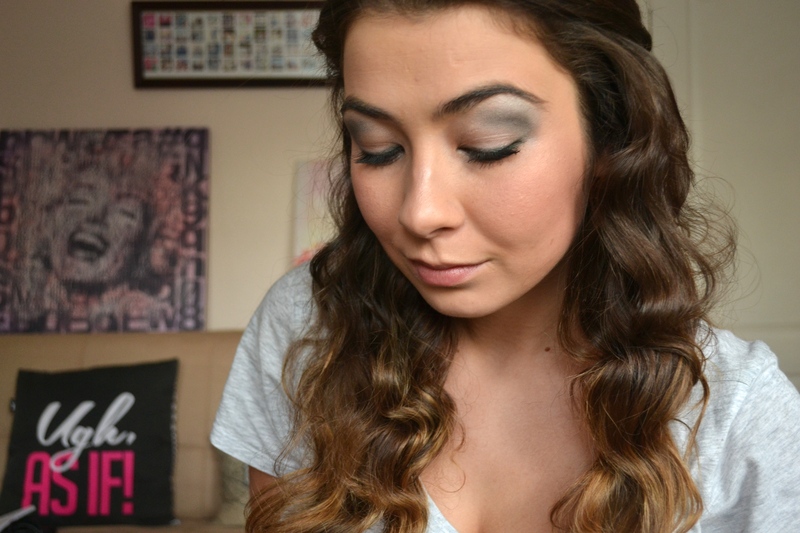 Also, if you wet your eye liner brush a bit, you can use the dark green as an eyeliner too, which is what I did. It looked perfect and the shades stayed there the whole night. I also used the light green shade and the eyeliner brush to add to the bottom lid, and added a little bit of the white right in the inner corner of the eye, to make the eye appear visually bigger. It was so easy to use, even for someone who has had no experience using colour before. 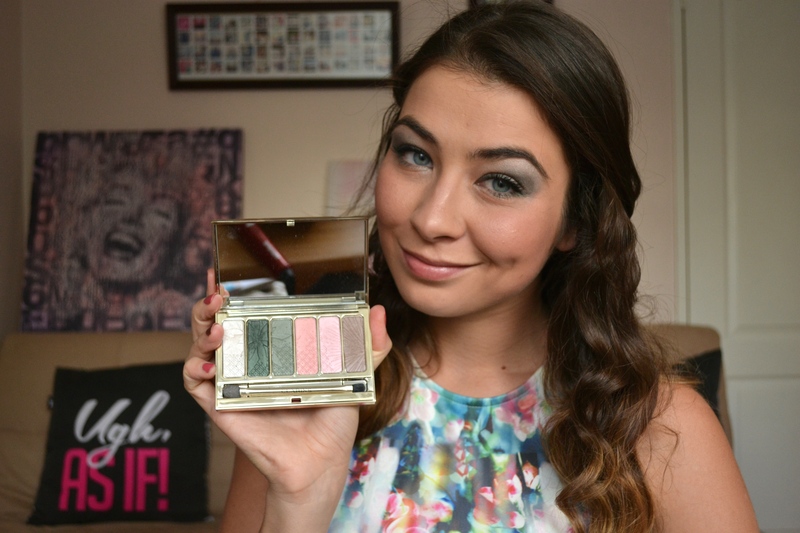 A definite must-have, this palette goes for R550(only!). 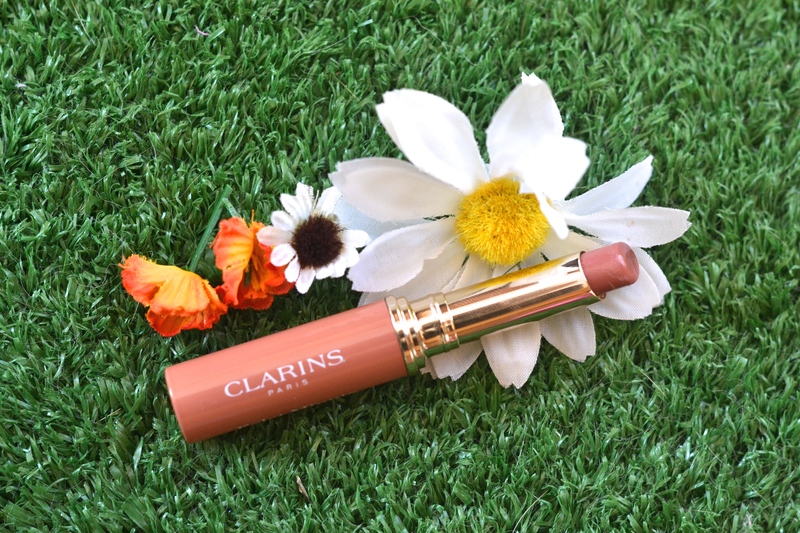 Something that I have tried before, was the Instant Light Natural Lip Perfector(which is amazing!) and now on the heels of its global success, it is available as an ultra-absorbent balm. 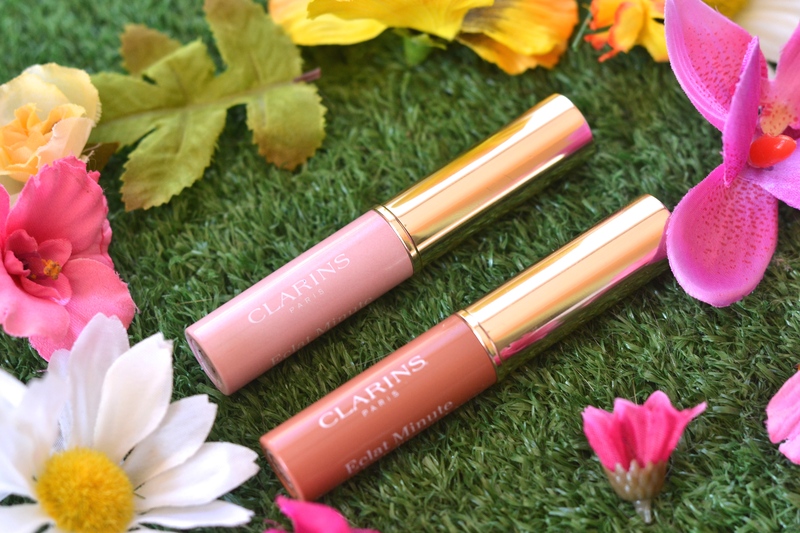 Its formula is enriched in extracts of wild mango and shea butter, which helps to moisture and plum the lips. 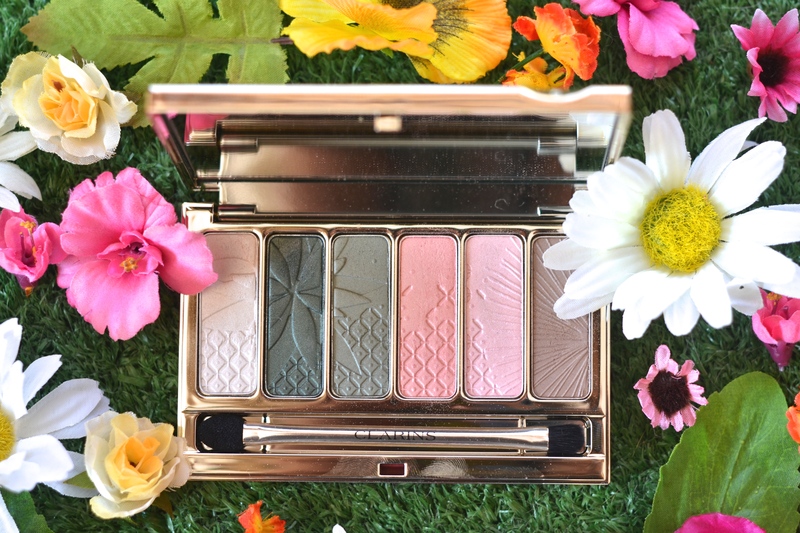 The Garden Escape Collection features two colours-My Pink and Amber, but there is 6 shades available over all. The texture is smooth as butter and smells delicious! The My Pink shade, is rather neutral, with very,very light pigment to it. It is perfect for when you are going for that “no-make-up” kind of look. The Amber shade is slightly more pigmented, it is a light brown and you can see it on me in the pictures above. These go for R250 each. Oooh Eeemm Geee, is all I can say about this guys,talk about winter lip savers! 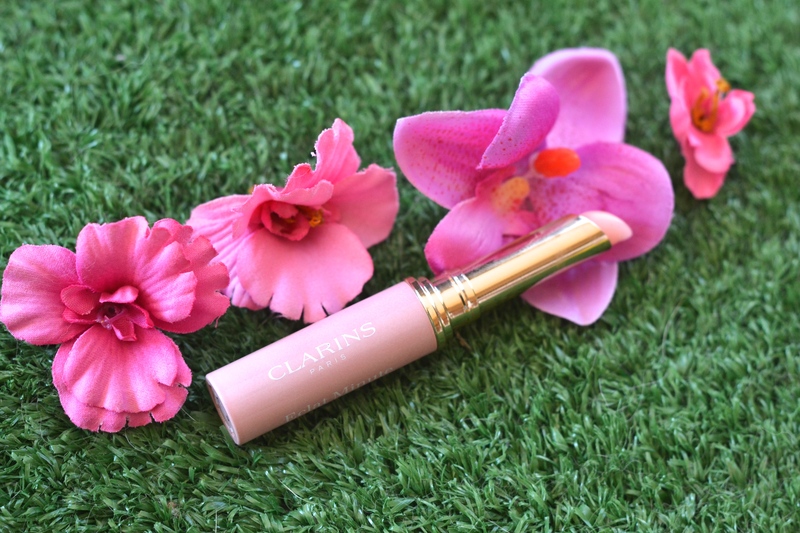 This is a unique melting formula rich in active plant ingredients directly inspired by the expertise of Clarins Face and Body Oils, to nourish and enhance the lips. Oils are really all the rage right now from hair to body, and now there is finally an oil for your lips! I wouldn’t cosinder this a make-up product per se(especially not this shade called Honey, however there is a more pink shade called Raspberry that has pigment in it), this is like a treatment product for your lips. Winter is on its way and many of us suffer with dry and chapped lips, and this is what the Comfort Oil will help you with. 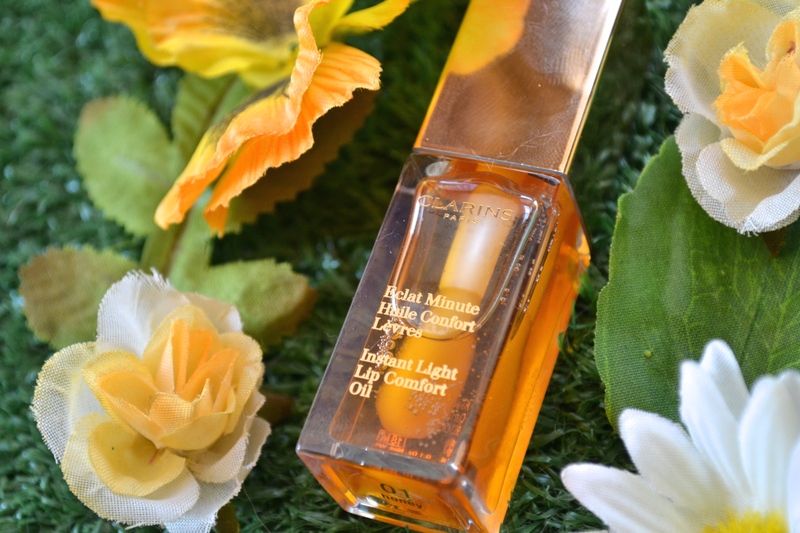 It absorbs into your lips and only leaves a light shine, and my lips stayed moisturized for hours. It retails for R250, and it is great investment this winter. Nice one, Clarins! What do you think of this gorgeous collection? Available at all Clarins counter nationwide now, so go on and check it out!